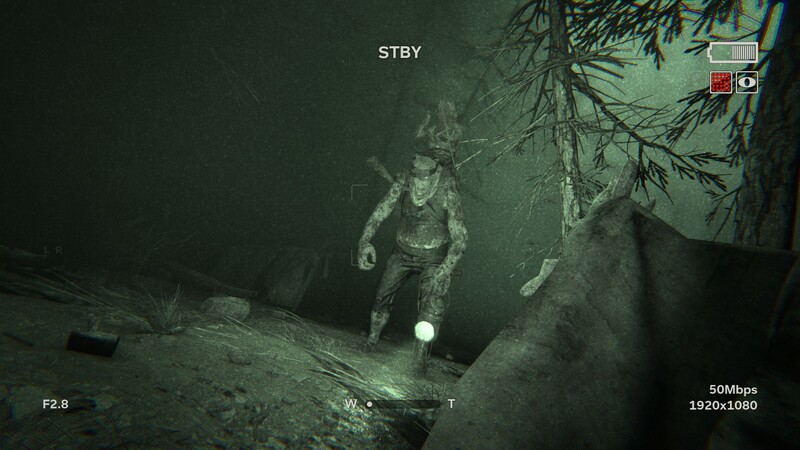 Outlast 2 pulls no punches in its grueling opening hours, and if you're interested in this theological nightmare, we've got the top 11 tips you'll need to survive. 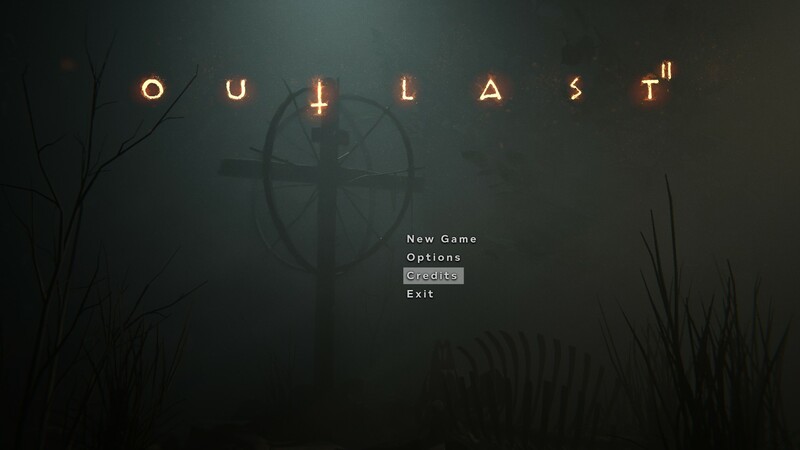 Outlast 2 lays the scares on thick and fast. 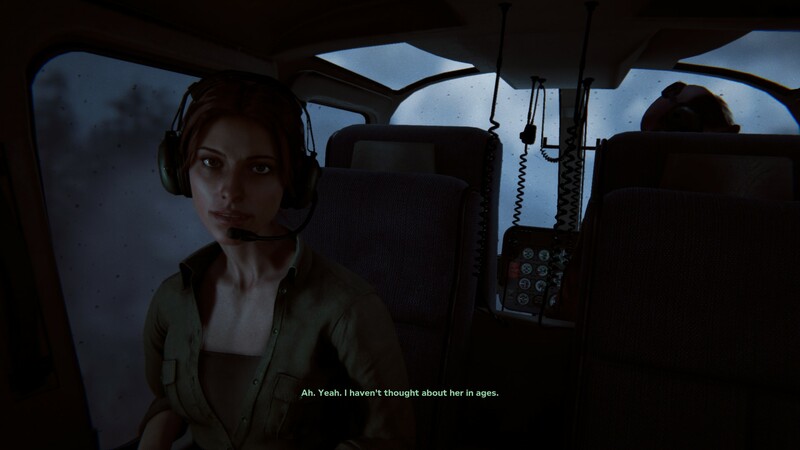 You'll hardly have enough time between chase sequences to catch your breath before another harrowing event unfolds. 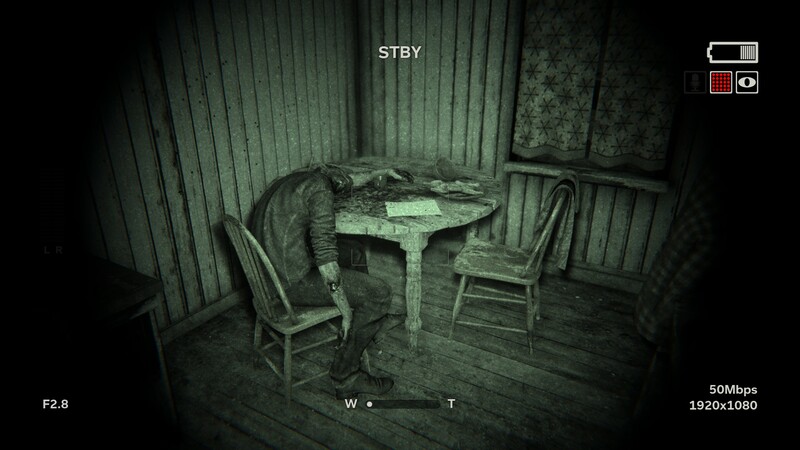 Needless to say, Outlast 2 can be a pretty stressful game. 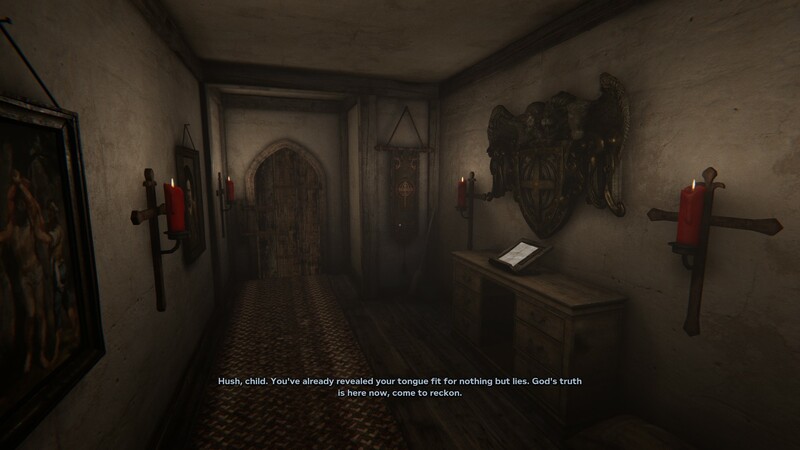 When you're not sneaking around terrifying killers, you'll have to solve light puzzles, or scramble to the next oasis of safety. 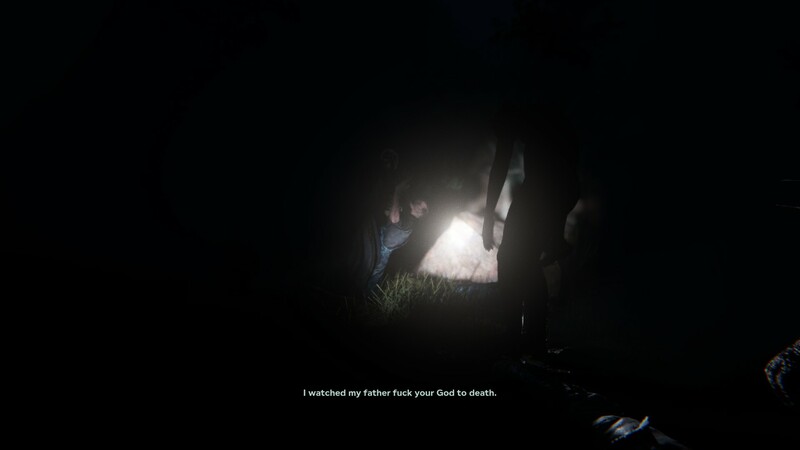 Survival is a luxury, and trying to figure everything out with angry cultists breathing down your neck is a real pain. That's why we've put together 11 tips to help make the grueling beginning a bit more manageable. 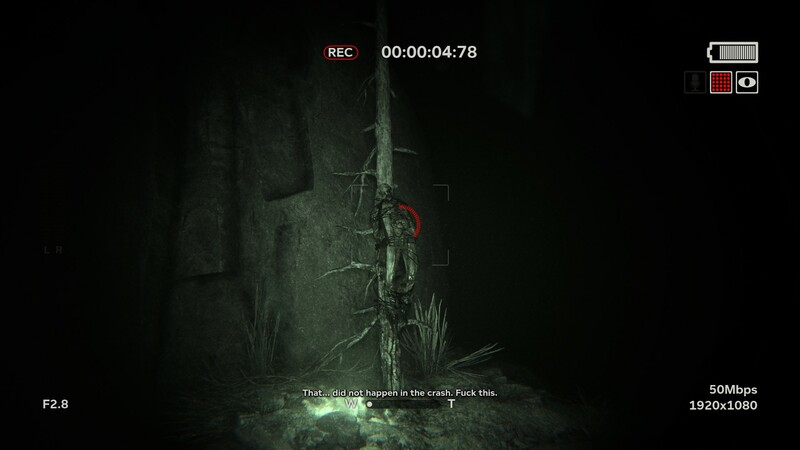 Keep scrolling to get our ten tips to help you overcome the first hours of Outlast 2. 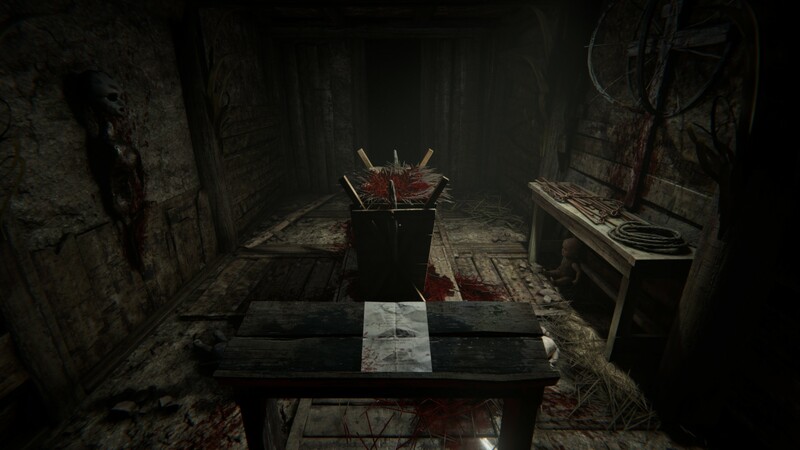 For a game that's all about running, there are plenty of benefits for being deliberate in Outlast 2. 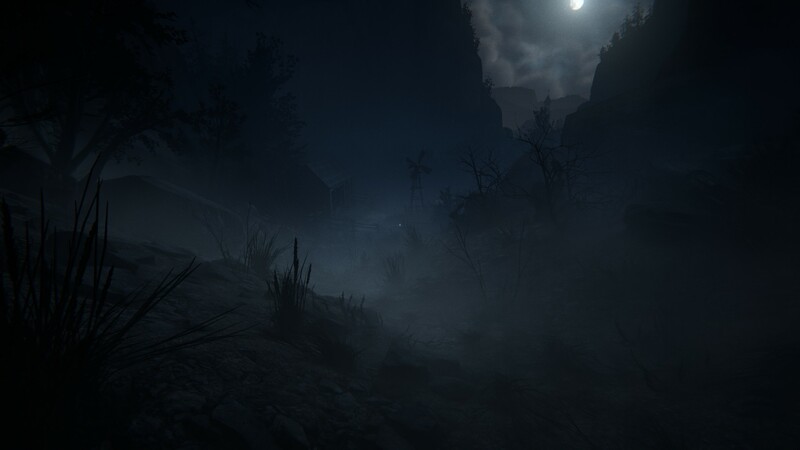 Killers prowl every corner of the Arizona settlement of Temple Gate, and observing your environment will pay-off in the long-run. Instead of kicking down every door, try holding Interact and slowly opening the door to see what's on the other side. 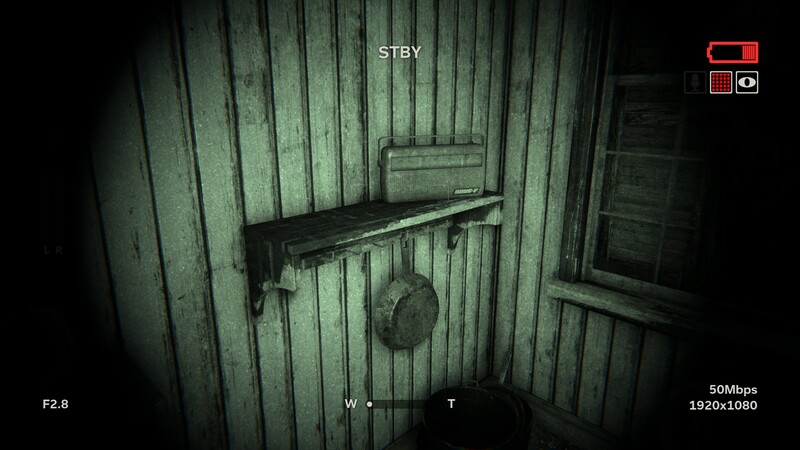 You'll also want to take an inventory of every decrepit shack and murder house you enter -- you'll usually find a bandage, batteries, or a collectible note. 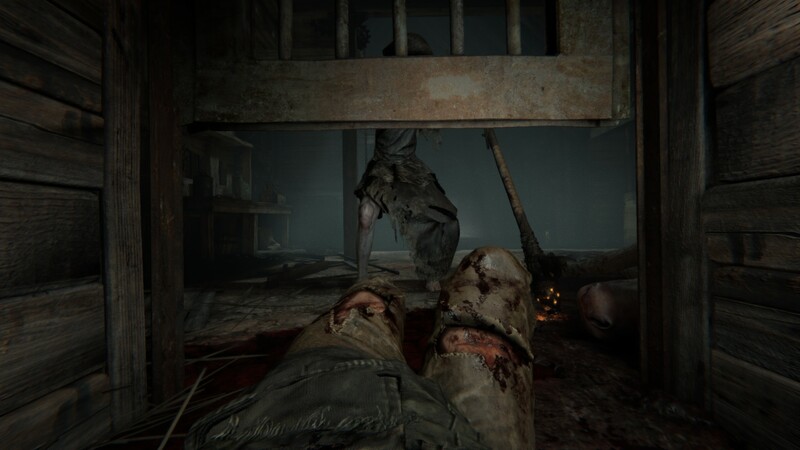 Moving slow is great when you're unnoticed, killers are far less likely to hear Blake while crouched. But, these eagle-eyed attackers are quick to spot Blake, even in the darkness. When that happens, it's time to run. 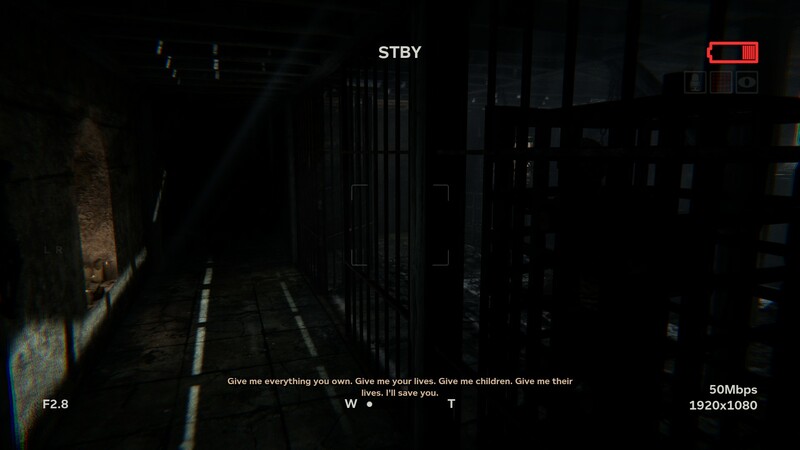 Sprinting is the main gameplay mechanic of Outlast 2. You'll spend most of your runtime dashing away from threats at full speed. There are a few things you'll always want to remember for when running. Look for bright lights in the distance. Lights usually point in you the right direction. 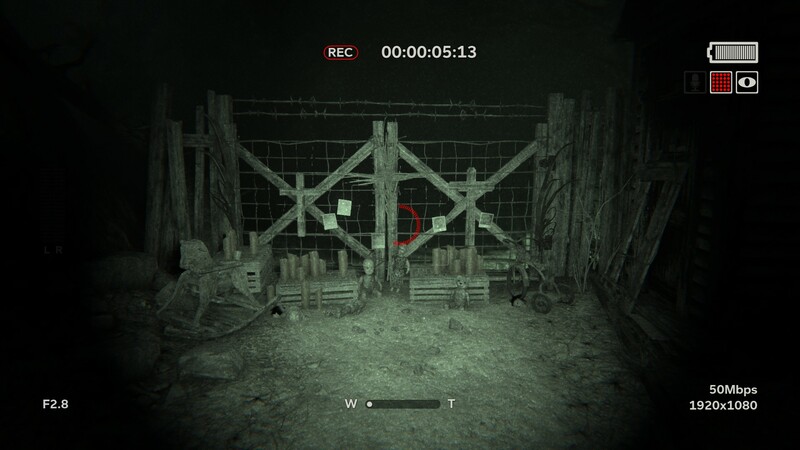 Steer clear of hunters standing in gates, doorways, or other passages. Usually they'll attempt to box you in. Running into them results in an instant death. Look for places to interact with the environment. Alternate paths, waist-high walls, or grooves in the ground to slide under fences / gates. Places to climb up are often marked with bloody handprints or a broken ladder. Sprint for too long and you'll get winded. Sometimes, to evade opponents, you'll need to hide. 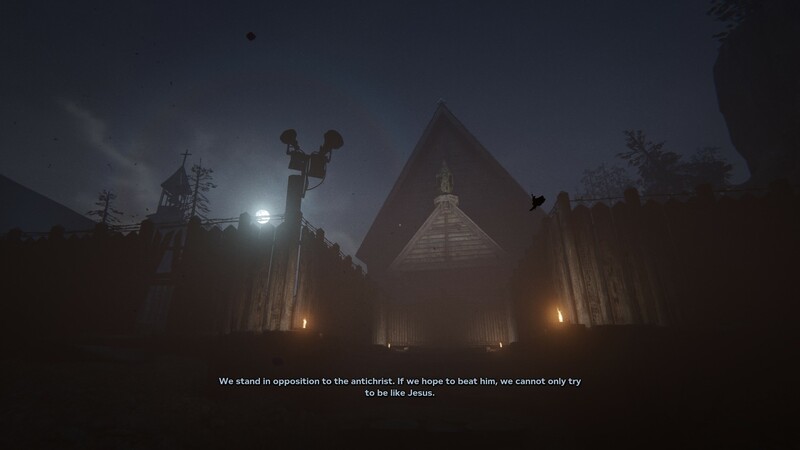 Early in the game, you'll meet the towering nun Marta. 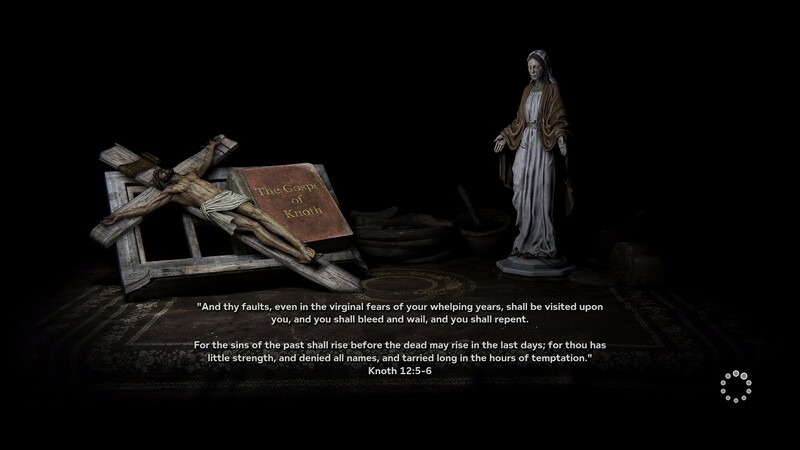 She wields a massive cross, and her sudden appearance (combined with surprising speed) can lead to many, many deaths. 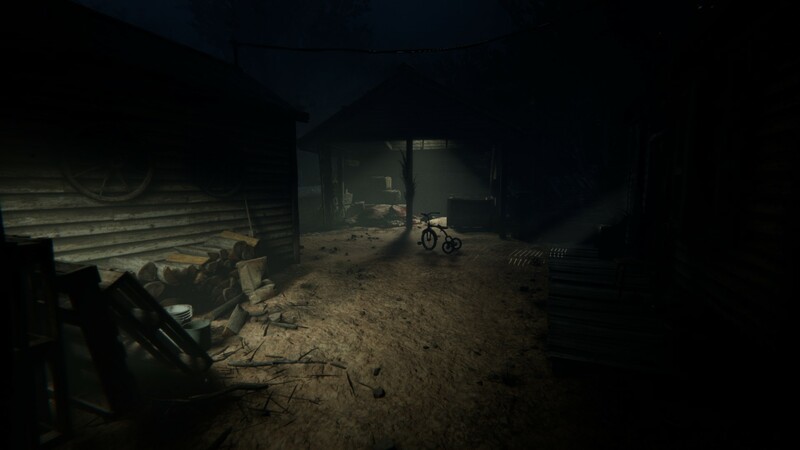 To escape her, take note of the shed in the area outside the barn. She'll reveal herself, and when she does, immediately give chase. 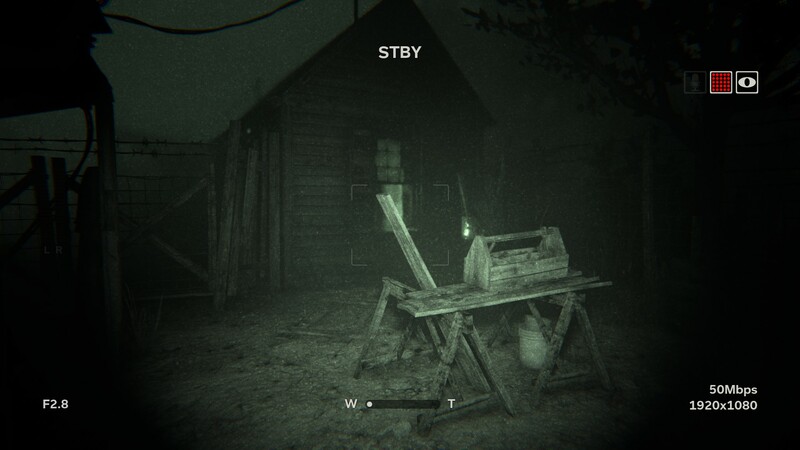 Turn around and circle the shed, leading her on so you can safely reach the barn. That's where things get tricky. There are no obvious escape routes. 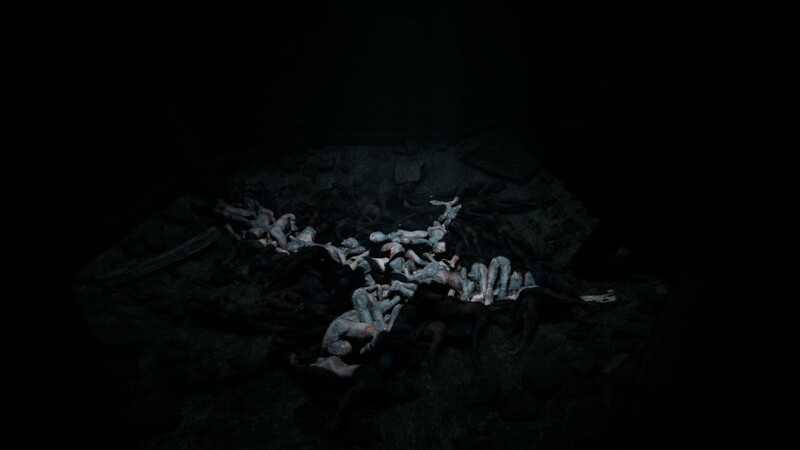 When you reach the barn, look to the ground. There's a small crawlspace in the dirt. 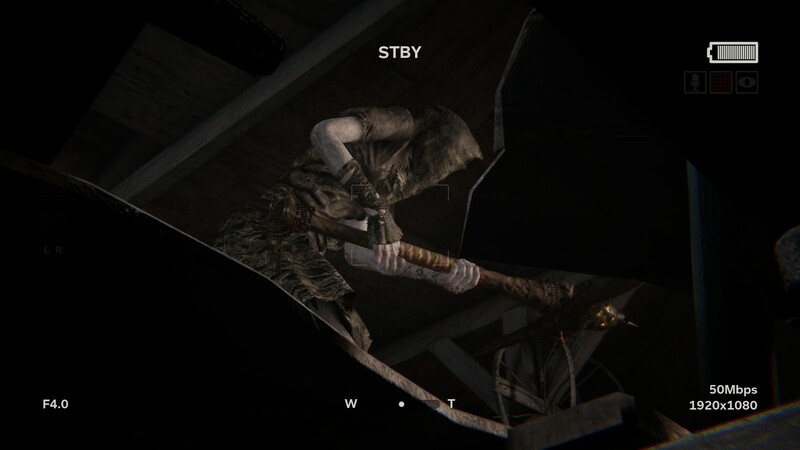 Crouch or slide to slip under the barn walls and reach safety. Often, the only solution to a problem is hiding. 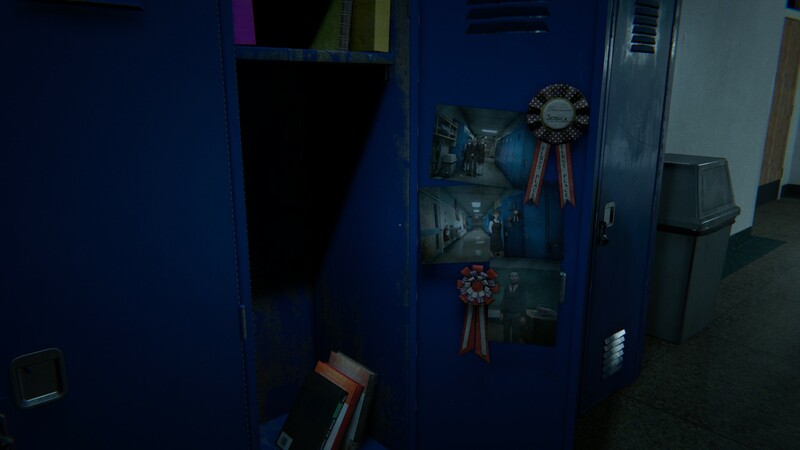 For instance, early in the game, Blake will learn how to use the Audio function on the camera. Useful, but the angry villager will almost-always barge into your early-game abode. To avoid a violent death, there's a trick you'll find works wonders for almost the entire first chapter -- let's call it, the deadbolt / bed strategy. 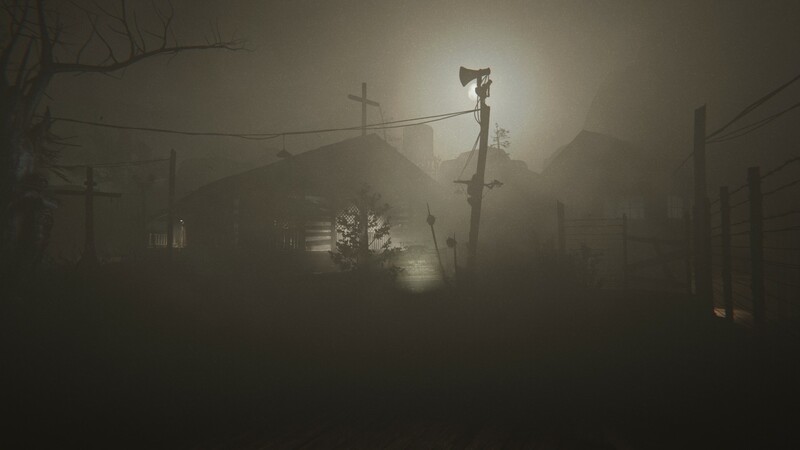 The village of Temple Gate is full of old shack homes. They all have deadbolts and they all have beds. 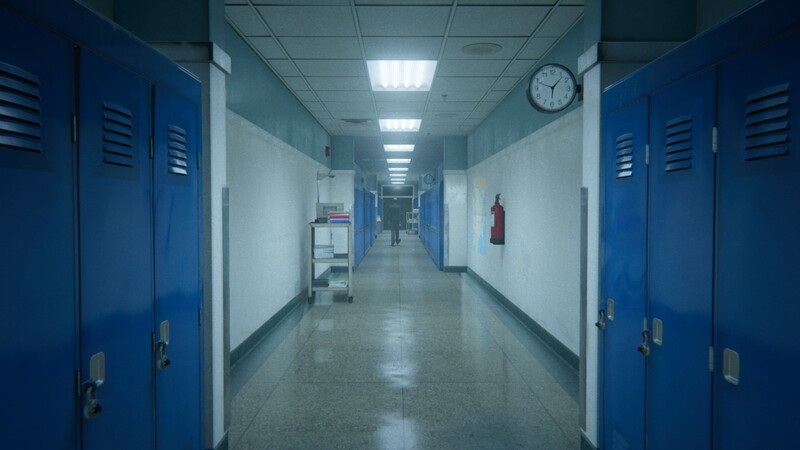 If you've been caught, sprint to the closest building. Close the door and deadbolt it shut. 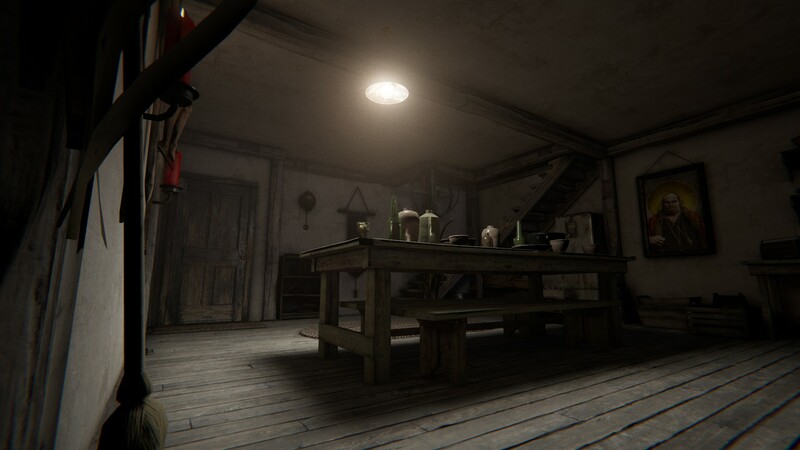 While the villager is kicking down the door, use those precious moments to slip under the bed. 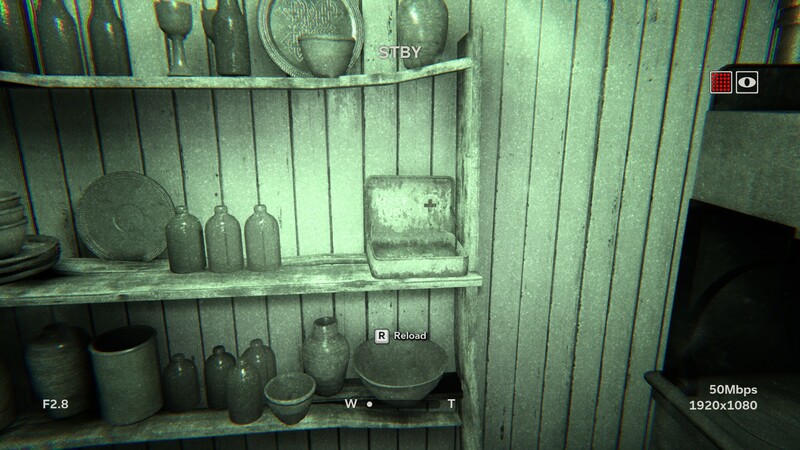 There are many, many ways to hide -- in waist-high grass, in cupboards, in barrels, or even in high water. Just duck! Stay under too long, and you'll drown. Thankfully, you have a new tool to aid you with recon. 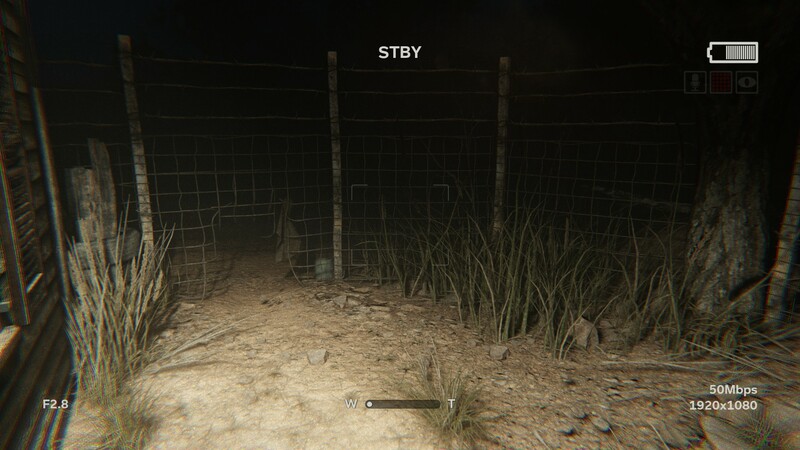 No more stumbling out of hiding places and walking directly into an enemy, all thanks to the Audio function. 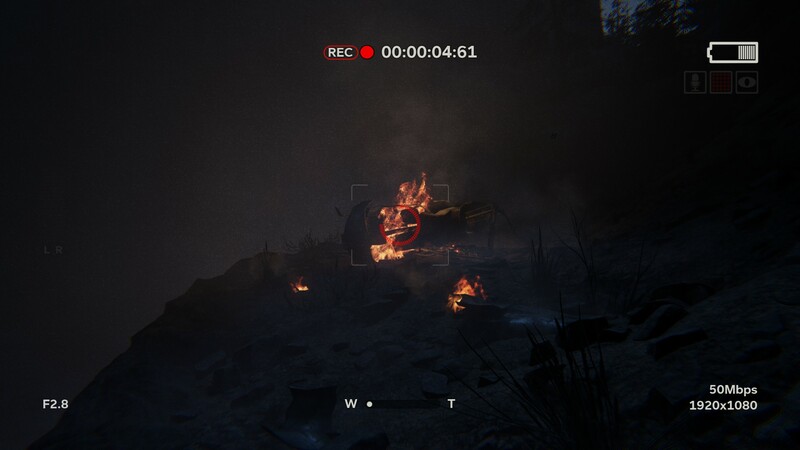 New to Outlast 2, your night-vision equipped camera can now scan the environment for audio readings. 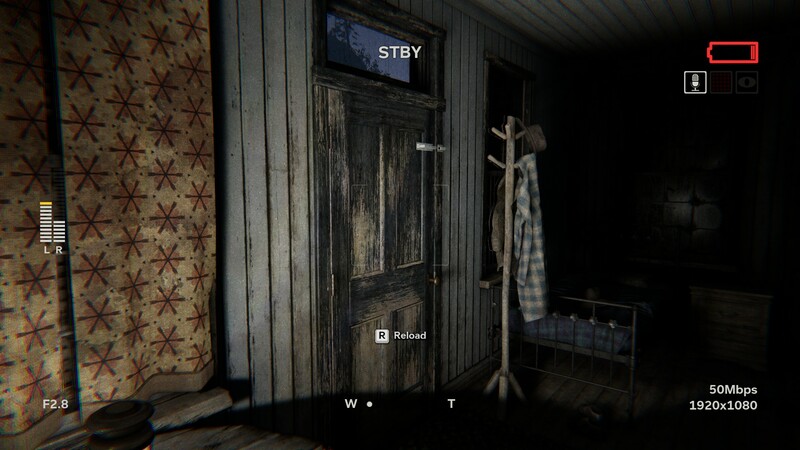 You can listen through walls, doors, trees or grass. 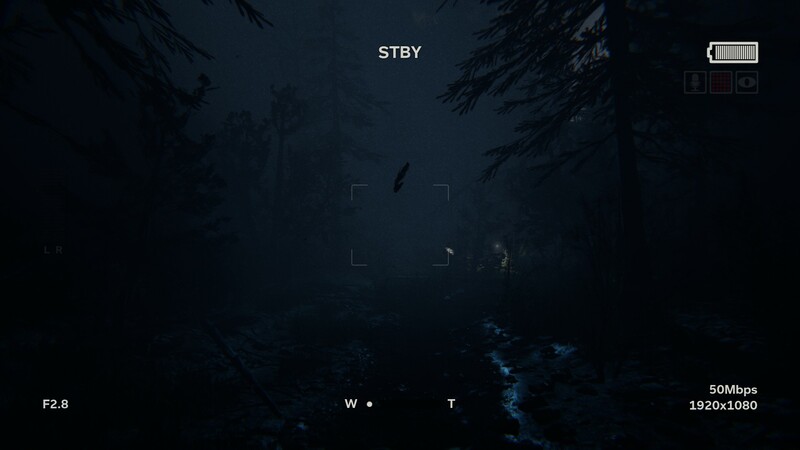 Basically, you can scan everywhere and see where those patrolling hunters are located without accidentally revealing yourself. Too bad you'll use up all your batteries if you keep the Audio function activated for too long. #6: Don't Know Where To Go? 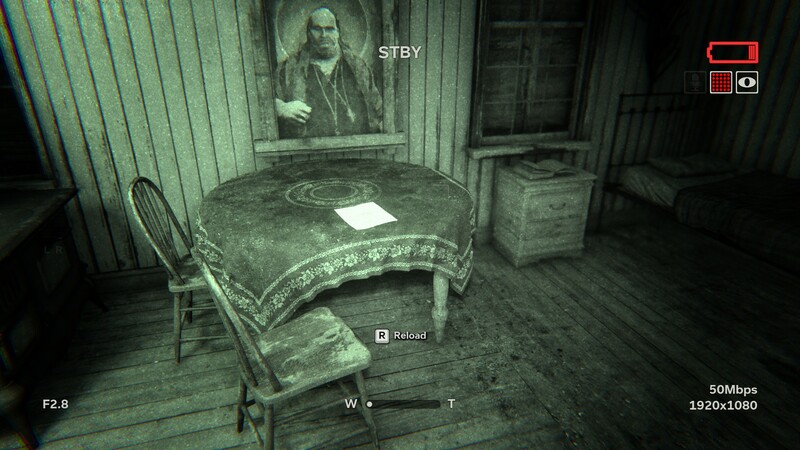 The enemies aren't the only troublesome aspect of Outlast 2. You'll also have to deal with complex areas that don't hold your hand -- it's tough to know exactly where you need to go sometimes. If you're stuck, and we've been stuck before, try these tricks. Look for a groove in the ground. Often beneath fences, gates, or wall-like obstructions. 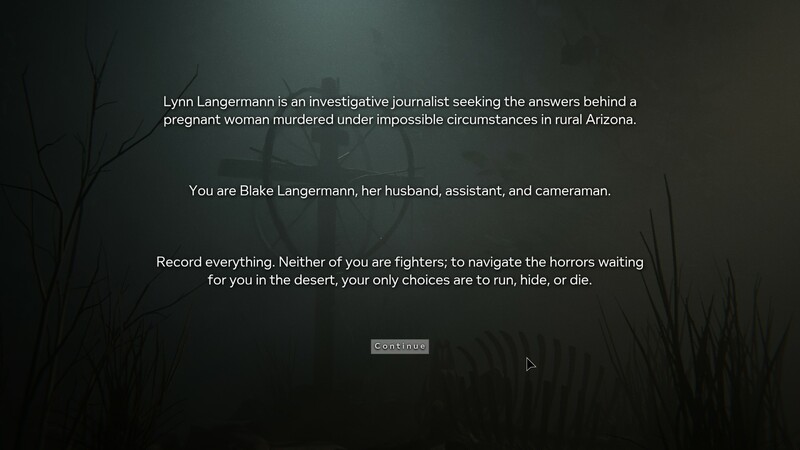 Killer coming after you? 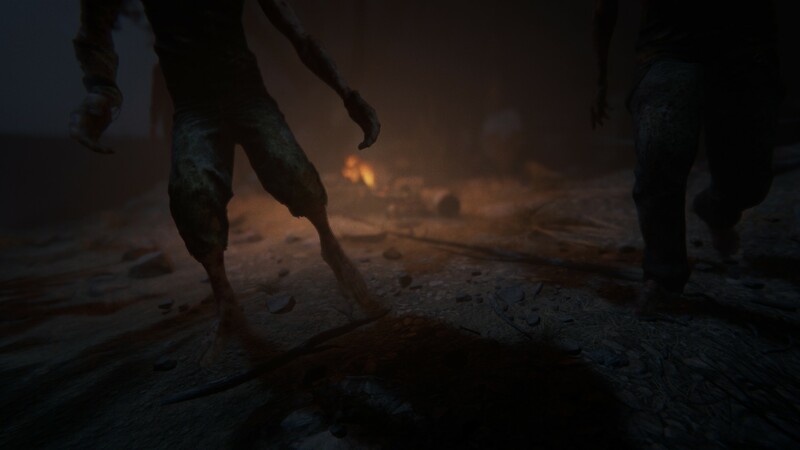 Lead them away from their appearance point, then run where the killer came from. In rocky areas, look for bloody marks on ledges. 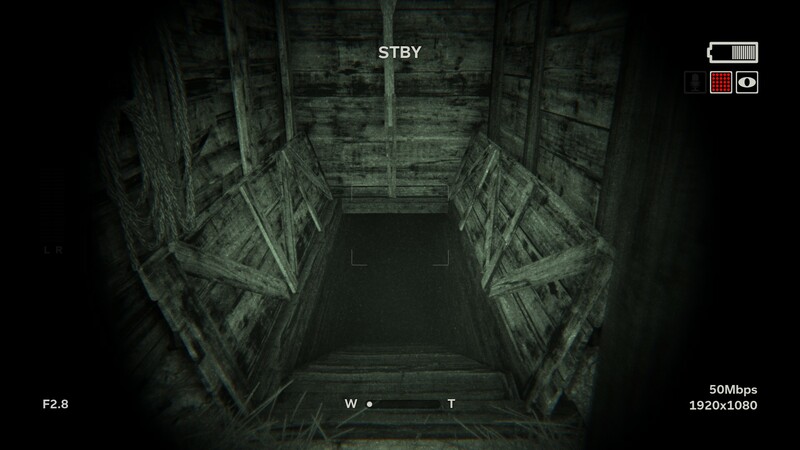 Step onto narrow spots to immediately cross them all. 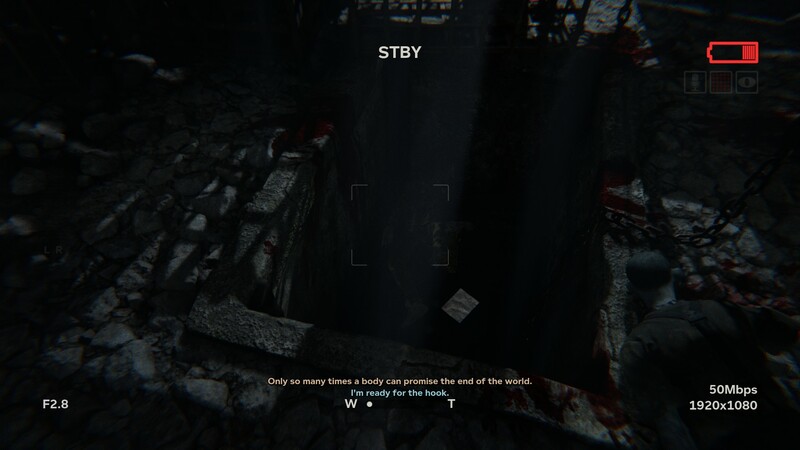 Also, look for alternate paths if you keep dying in the same spots. 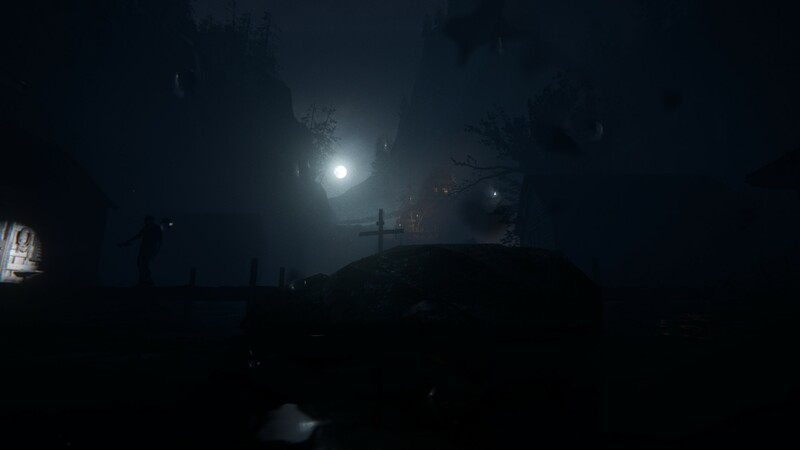 Crawl into hollow logs, look for broken ladders, or try to find bright lights. Light usually points you in the right direction. [NOTE] One problem we experienced more than once, is that low grooves in the ground won't register when crawling inside. In that case, try sprinting-then-crouching to slide. 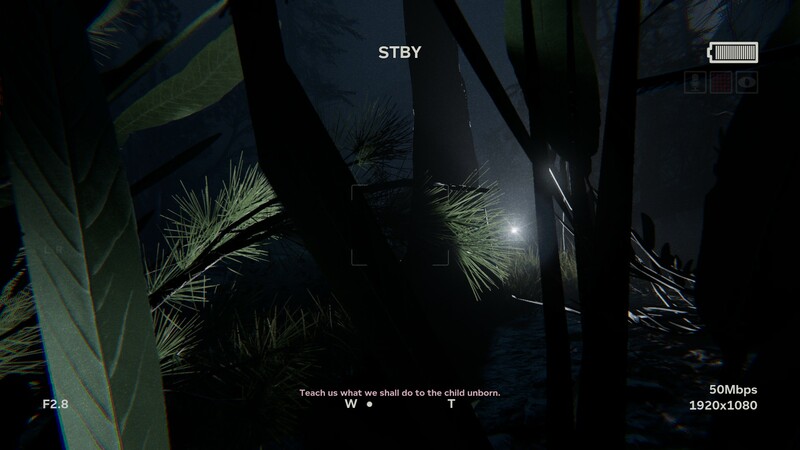 Sliding into low obstacles allows you to quickly escape enemies, or activate invisible logic triggers properly. #7: Need More Light? Just Die! Running out of batteries comes easy if you leave the camera's NVG on for too long. Night-vision drains batteries quick, just like using Audio scan. When you run out of extra batteries or bandages, there's an underhanded way to refill -- let yourself die. Your NVG batteries on your camera will fully recharge when you reload. You'll also return with full health, which can be a lifesaver. 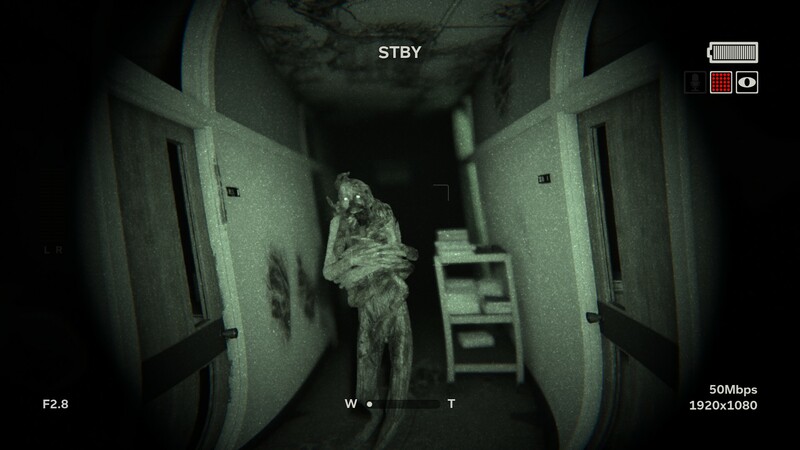 At low health, your sprint slows down. Blake's jump can't get you very far, but his tiny hop has another benefit. If you hold back, left, or right you'll perform a dodge instead of a jump. Blake can swiftly shift left, right, or step backwards to avoid an incoming attack. 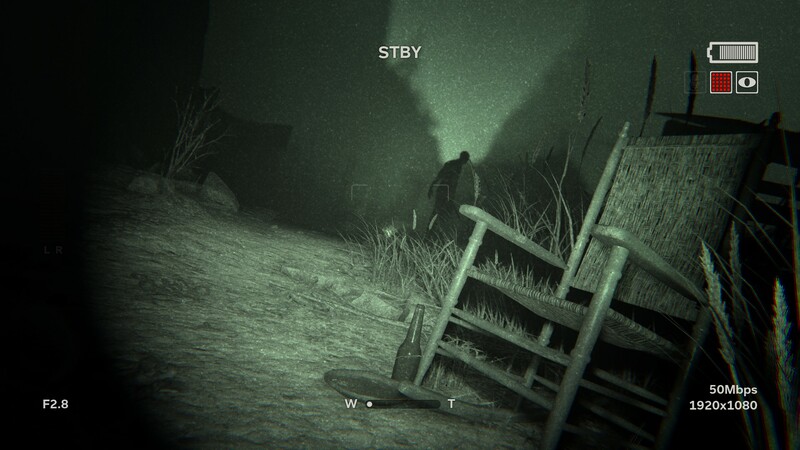 Dodging isn't very common in Outlast 2. 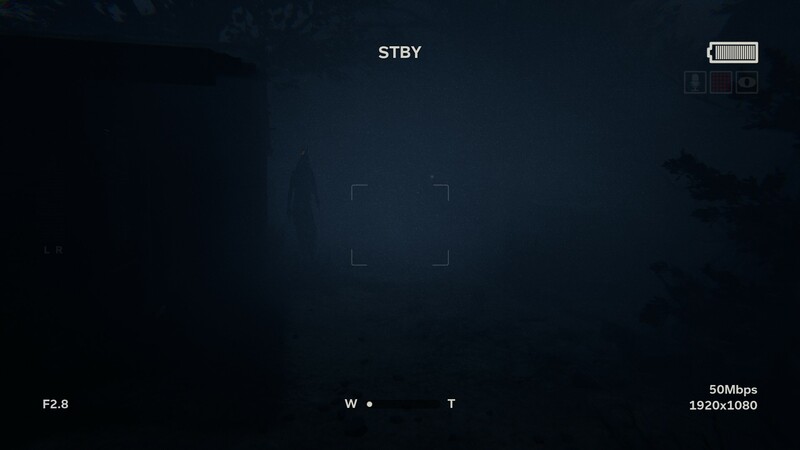 Most of the time, if you're face-to-face with an enemy, you're already dead. But some opponents can be outfoxed or outmaneuvered. When sprinting, you can dodge left or right to change directions. 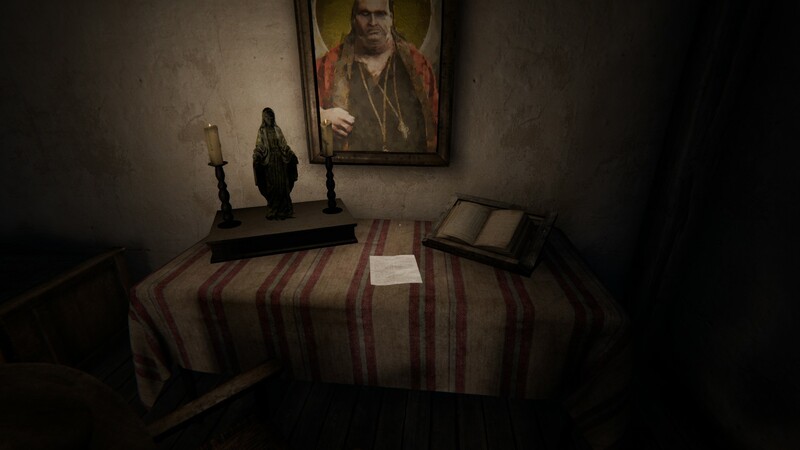 As you delve deeper into Outlast 2, you'll find yourself revisiting a creepy dream. 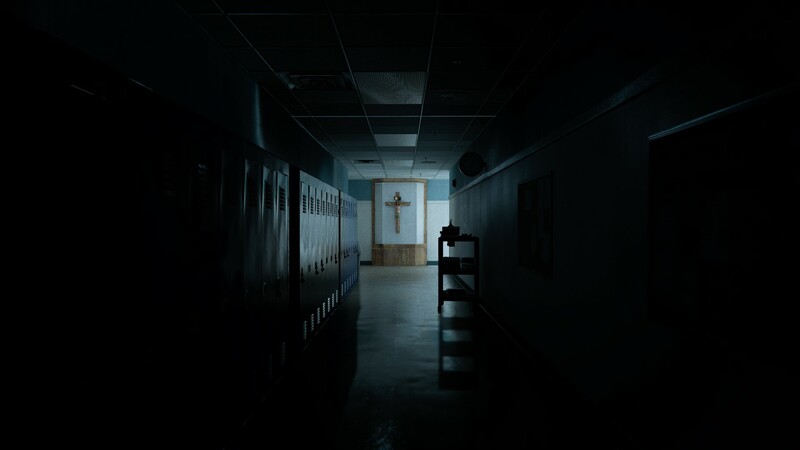 Blake constantly phases into the schoolyard nightmare, waking up to witness a young girl's suicide. 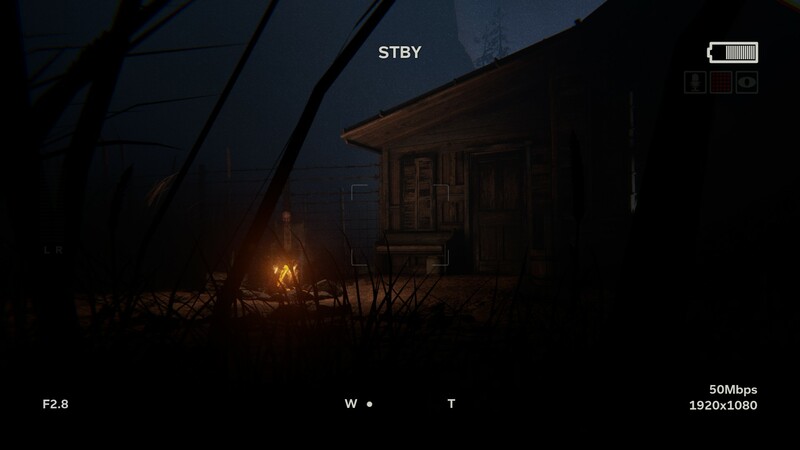 These spooky sequences don't follow the same logic of the main game. 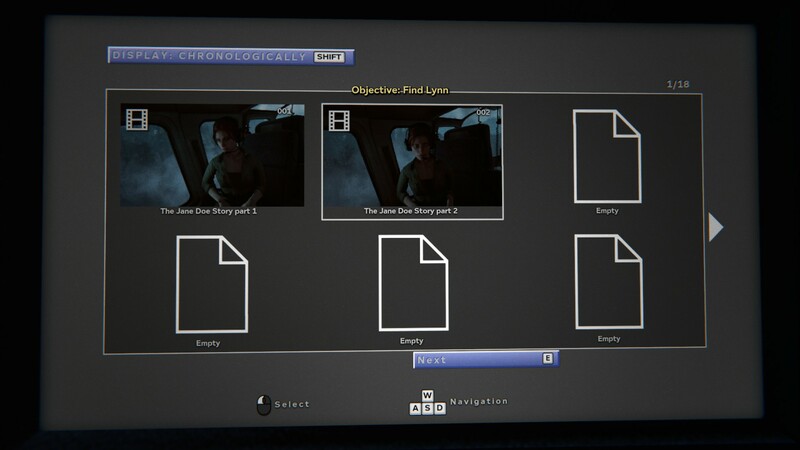 To complete these sequences, you'll need to interact with everything. If there is a note, you'll need to look at it. Access a computer, answer a telephone, or simply attempt to open every door. 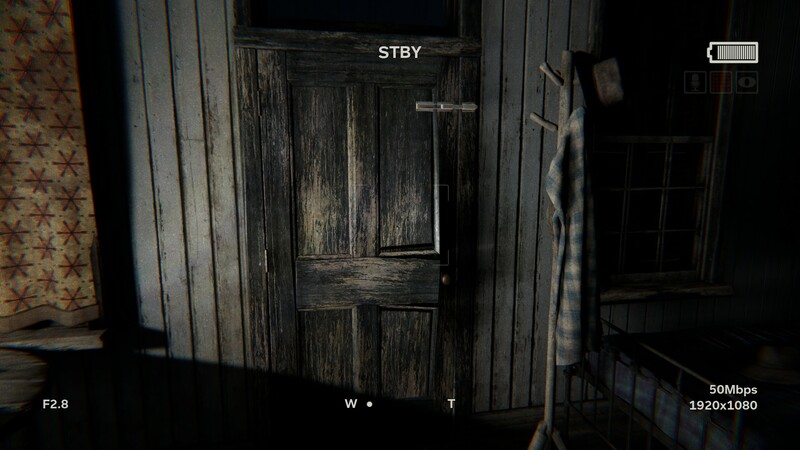 After finding a new element to the mystery, a new door will appear, unlock, or just open. Often, you'll encounter passive cult members that don't kill Blake on sight. This is especially true when you enter the frightening Scalled camp later in the Genesis chapter. If you see a praying woman in the distance, don't worry about alerting her. Just don't get too close. They're armed with butcher knives, and will gladly stab Blake to shreds if you try to bump into them. Give them their privacy and move on. 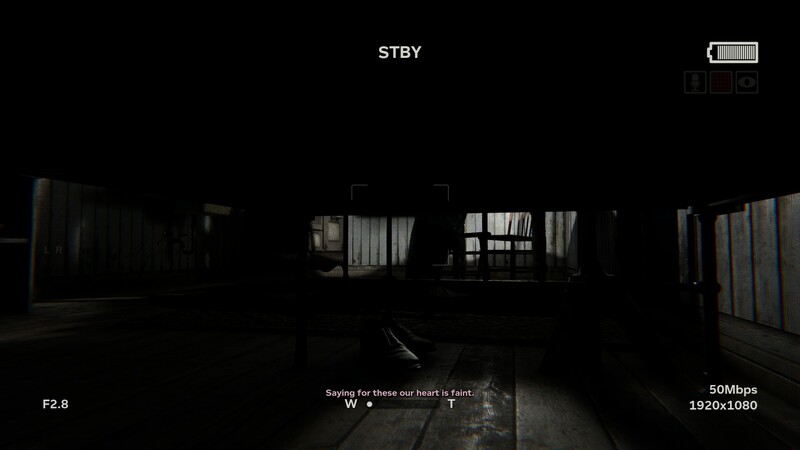 Sometimes, Outlast 2 feels impossible. 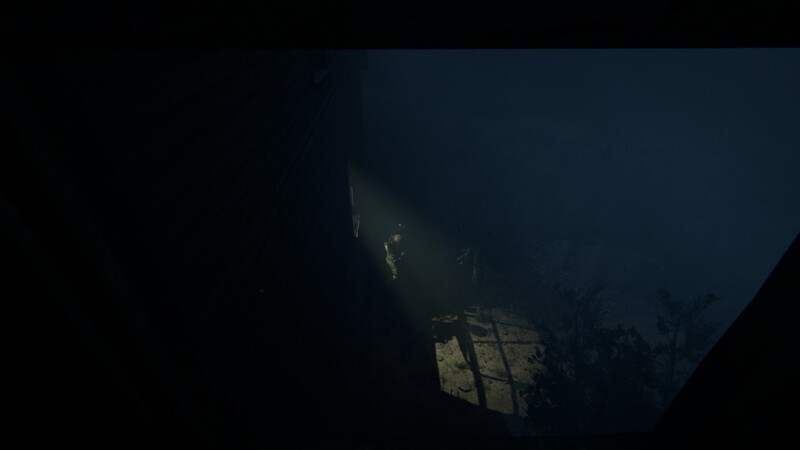 When you're cornered, surrounded, hunted or exposed to some new horror, it feels like there's nothing you can do but die. There's always a way forward, it's just up to you to figure it out. 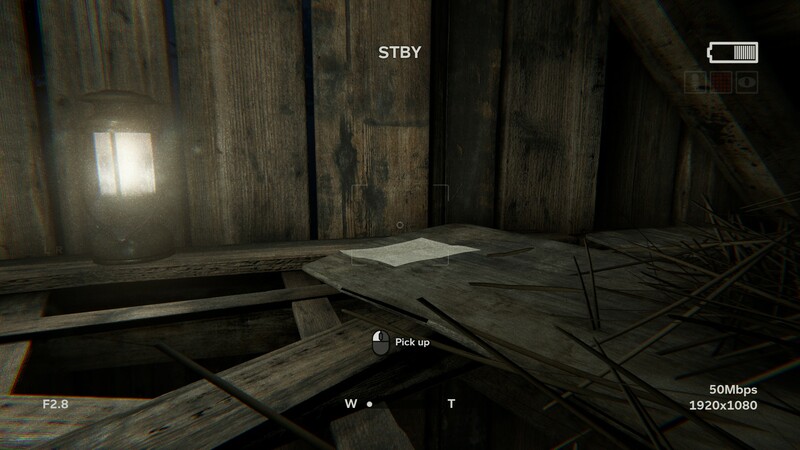 Sometimes you'll encounter sections that are tightly scripted, and there is (literally) only one path you can take to survive. For example, later in the Genesis chapter, Blake is hunted by a psychopathic conjoined giant armed with a crossbow. To escape, you'll dive into the water. 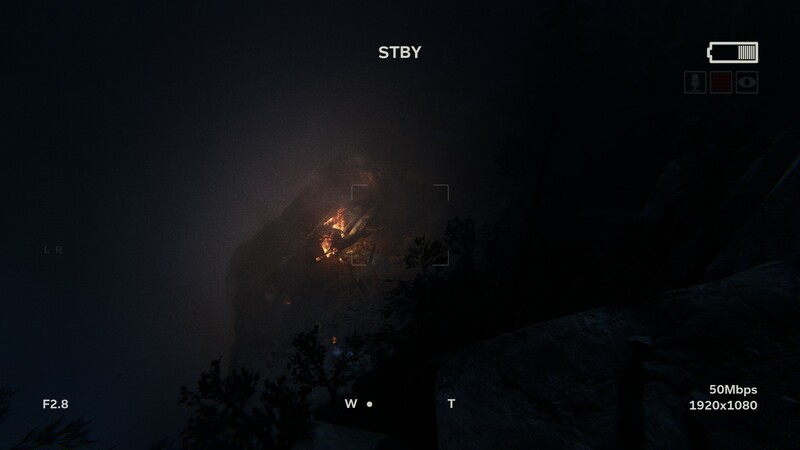 The only way to survive is to hide -- peak out when the flashlight moves away from the water's surface to breath, then dive back under the water. Eventually, the giant will wander away. Sometimes, doing nothing is the best solution. 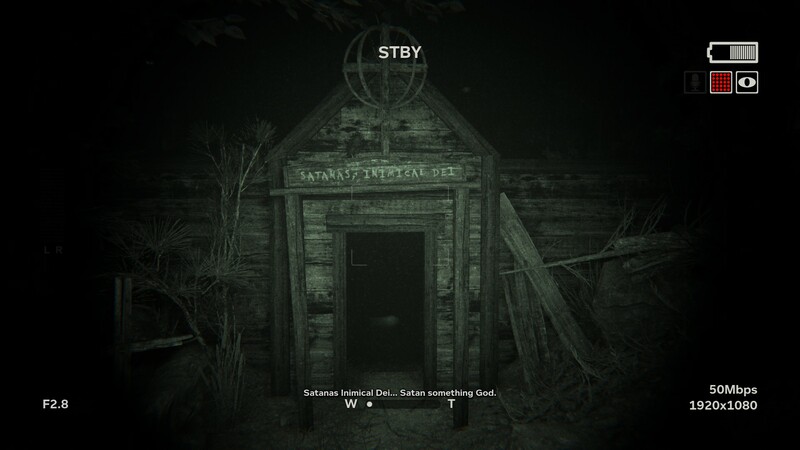 Got your own tips for survival in Outlast 2? Let us know in the comments!